Jellyfish are an enigma. They have no centralized brain, but they see and feel and react to their environment in complex ways. They look simple, yet their propulsion systems are so advanced that engineers are just learning how to mimic them. They produce some of the deadliest toxins on the planet and still remain undeniably alluring. Long ignored by science, they may be a key to ecosystem stability. 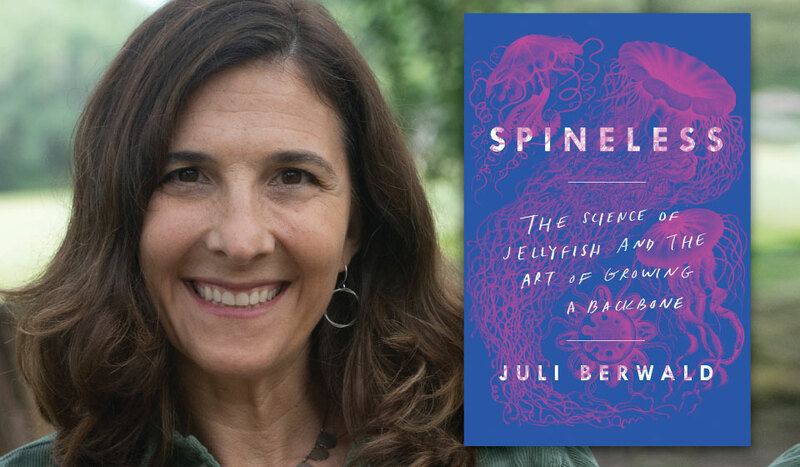 Juli Berwald's journey into the world of jellyfish is a personal one. More than a decade ago, she left the sea and her scientific career behind to raise a family in landlocked Austin, Texas. Increasingly dire headlines drew her back to jellies, as unprecedented jellyfish blooms toppled ecosystems and collapsed the world's most productive fisheries. What was unclear was whether these incidents were symptoms of a changing planet or part of a natural cycle. Berwald's desire to understand jellyfish takes her on a scientific odyssey. She travels the globe to meet the scientists who devote their careers to jellies; hitches rides on Japanese fishing boats to see giant jellyfish in the wild; raises jellyfish in her dining room; and throughout it all marvels at the complexity of these fascinating and ominous biological wonders. Gracefully blending personal memoir with crystal-clear distillations of science, SPINELESS reveals that jellyfish are a bellwether for the damage we're inflicting on the climate and the oceans and a call to realize our collective responsibility for the planet we share.